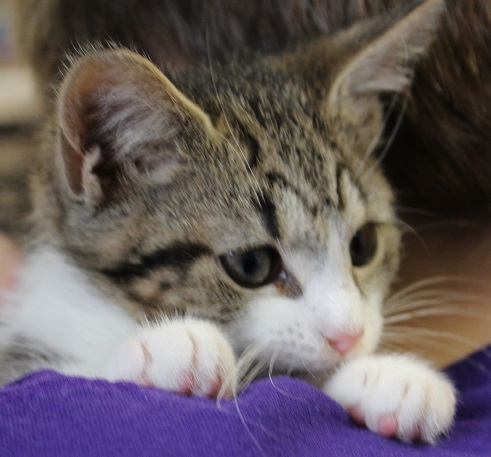 I am a 11	week old, Female, Domestic Short Hair. This little imp is super cute and darling too. PK2 loves stuffed animals to snuggle up with, she is ready to find a forever home of her very own.